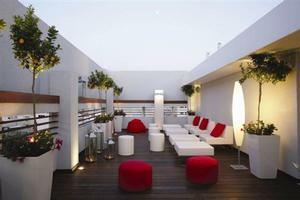 Located just steps from the beach, this brand-new, exciting 62-room hotel is dedicated to Israeli art. Five famous local artists were commissioned to create the murals that distinguish the decor on each floor, and video art by internationally acknowledged Israeli artists is screened in the lobby. Retro style furniture combined with clean modern design creates a cool atmosphere that highlights the Israeli art experience. Breakfast is served in the library, amongst art books and magazines. A 400 square meters space is devoted to exhibiting art projects in association with the famous art collection. All rooms are air conditioned and feature multi-channel cable TV, coffee & tea facilities, refrigerator, safe (suitable for personal computer), direct dial telephone with voice mail, and hairdryer. Guests enjoy free wireless internet access throughout the hotel. Located just steps from the beach, this brand-new, exciting 62-room hotel is dedicated to Israeli art. Five famous local artists were commissioned to create the murals that distinguish the décor on each floor, and video art by internationally acknowledged Israeli artists is screened in the lobby. Retro style furniture combined with clean modern design creates a cool atmosphere that highlights the Israeli art experience. 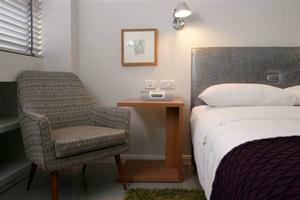 All rooms are air conditioned and feature multi-channel cable TV, coffee & tea facilities, refrigerator, safe (suitable for personal computer), direct dial telephone with voice mail, and hairdryer. Guests enjoy free wireless internet access throughout the hotel. Free parking will be provided to all guests at the adjoining parking lot. 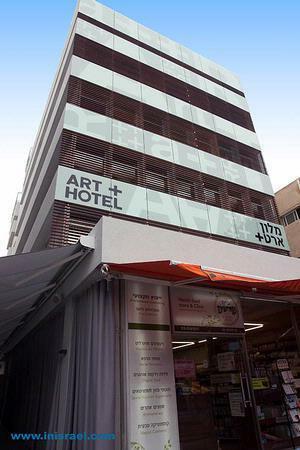 The Artplus Hotel Tel Aviv with its very comfortable home away from home atmosphere is centrally located in the hotel area of Hayarkon Street in Tel Aviv, just moments from the Mediterranean beach. "The staff at Art Plus went out of their way to be friendly and helpful. This was a great compl..."